We’ve moved past the notion that the male pronouns can stand in for all humans. But that leaves us with constructions like the one below, right? If you do some digging into the history of English usage, you’ll discover that the rule about male pronouns being used to stand in for male and female was an invention of Victorian grammarians. And that it used to be common to use “they” when referring to a person whose gender you didn’t know. 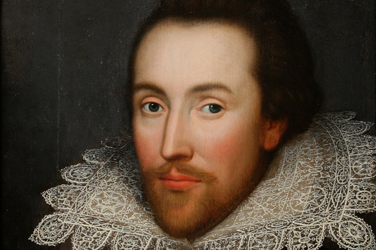 As James Harbeck points out in his blog post called “they”, “… for centuries, English speakers used ‘they’ for gender-indeterminate third person singular, and no one complained.” Even Shakespeare used it. Harbeck goes into a bit of detail, if you want to read more about how this imposed rule came about. Not surprisingly, it was influenced by beliefs, not by speaking and writing patterns that people commonly use. There are some fancy names for the two uses, but they can be hard to remember, especially if you aren’t into that aspect of grammar. Specific singular they: ‘Alex left their umbrella’"
The “rule” that “they” can’t be used in the singular is deeply rooted in people’s minds. So are editors, linguists and style guides saying anything about it? Yes, they are, and they’re certainly saying a lot. It’s been a hot topic among language professionals for a few years, and it really peaked in 2017. Here are three of the most significant announcements. You’ll run into people who say that it’s incorrect or it looks funny or they don’t like it. No one is saying we have to use it. But saying someone can’t or shouldn’t use it is wrong. And if you’ve found any other resources on the topic, feel free to share them in the comments below. The opinions expressed in posts and comments published on the Our Languages blog are solely those of the authors and commenters and do not necessarily reflect the views of the Language Portal of Canada. Gael Spivak works in communications for the federal government. 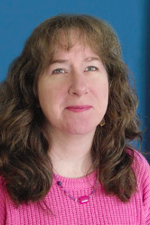 She specializes in plain language writing and editing. She’s the current president of the Editors’ Association of Canada (Editors Canada). Join in the conversation and share your comments! Please consult the Government of Canada’s Commenting Policy before adding your comment. The Language Portal of Canada reviews comments before they’re posted. We reserve the right to edit, refuse or remove any question or comment that violates the Government of Canada’s Commenting Policy. By submitting a comment, you permanently waive your moral rights, which means that you give the Government of Canada permission to use, reproduce, edit and share your comment royalty-free, in whole or in part, in any manner it chooses. You also confirm that nothing in your comment infringes third party rights (for example, the use of a text from a third party without his or her permission). Comments are displayed in the language they were submitted. I'm an editor who endorses what Gael says. I use the epicene "they" whenever I can (I'm educating clients about it, too). I like the categories here: nonspecific and specific. In “Chris should take their books”, is the possessive 'their' meant to refer to Chris, or to a separate possessor? I guess context would lend clarity but I must say, I'd have a very hard time accepting the former sense. But as you have recognized, there’s a strong risk of confusion from this use of singular “they.” So if the context does not provide enough clarity, the Language Portal would recommend using another solution to avoid “he” or “she”: repeat the person’s name; for example, “Chris brought Chris’s books.” This solution will be repetitious, but it will accommodate the wishes of the non-binary person without creating confusion.